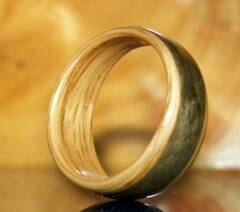 The oak wood ring with the greyed maple knotted band is a man's size 9. It is 9mm wide tapered to 6mm. 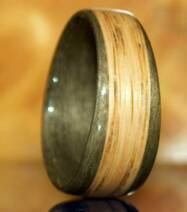 The greyed maple wood ring with the oak knot band is a man's size 12. It is 10mm wide tapered to 7mm. 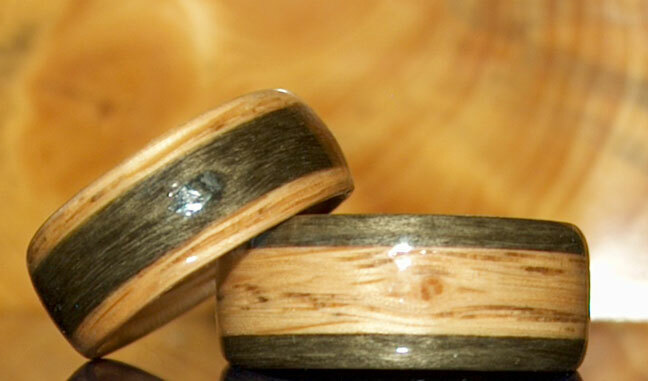 Both rings have a gently rounded profile. A striking combination of woods.